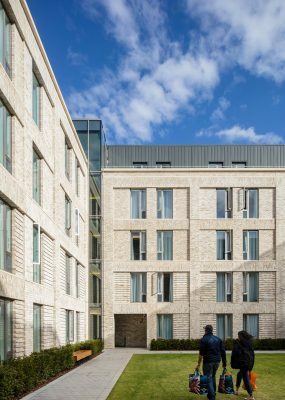 Optimising development of student rooms and other facilities, while addressing the existing buildings and context. 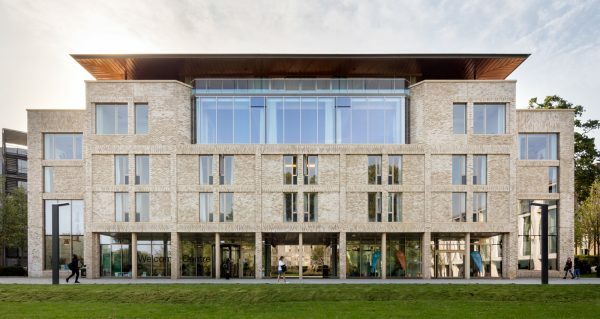 Providing an attractive academic building to mark the main entrance to the Digby Stuart Campus. 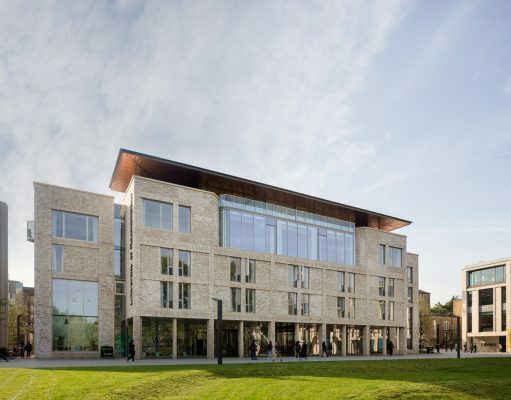 In order to achieve the most advantageous planning outcome MJP, together with the University, developed excellent working relationships with the local authority and met regularly to test and justify proposals. 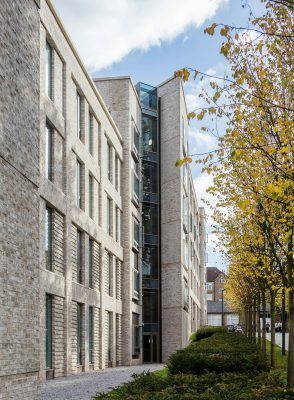 Working closely with the planners had the added benefi t of reducing planning risk . 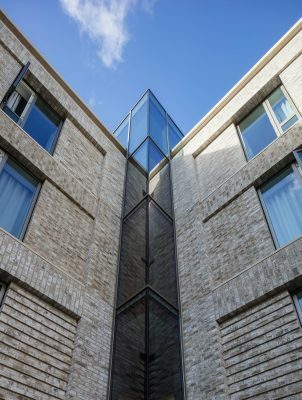 The proposals make extensive use of pre-fabrication, most notably in the brick and cast stone external wall systems but also by using pre-cast concrete structural elements and bathroom pods. 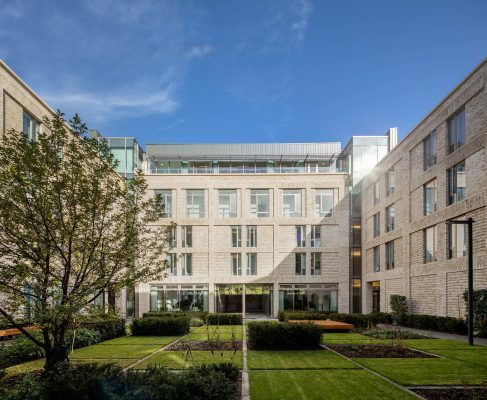 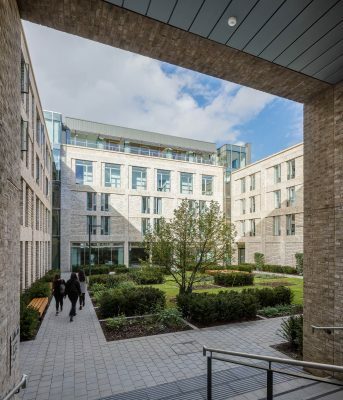 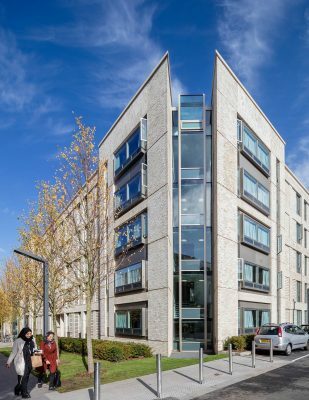 This innovative approach led to a reduced construction programme and enabled a less disruptive building process – particularly important here due to the location of the site within the heart of a ‘live’ campus. 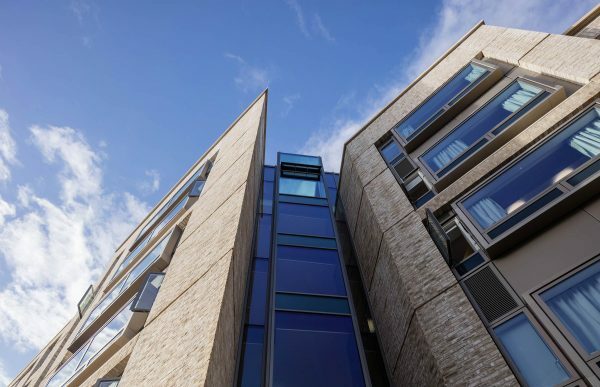 a thermally massive envelope which together with exposed concrete structure help keep the building warm in winter and cool in summer reducing the need for mechanical air conditioning kit. 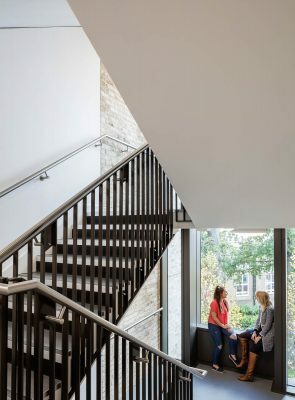 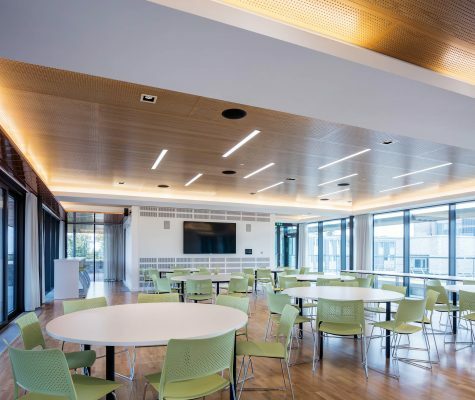 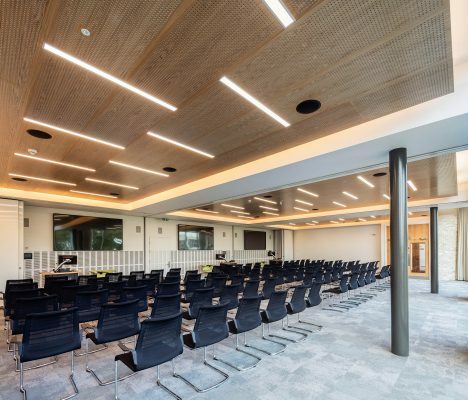 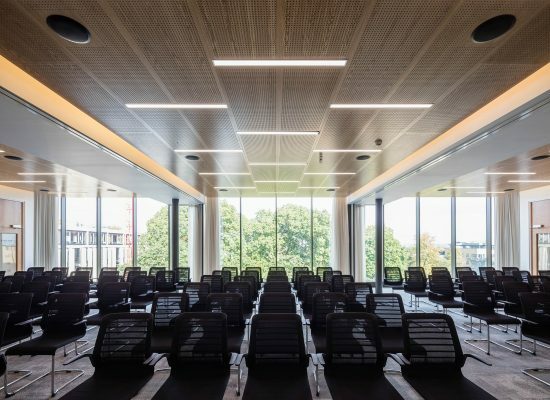 natural lighting is maximised to provide light and airy circulation spaces which are comfortable, attractive and encourage chance meetings and interaction. 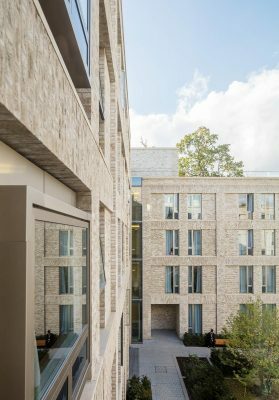 Prior to the development of the building MJP carried out an exercise to illustrate how the existing masterplan could be achieved whilst the University remained fully operable. 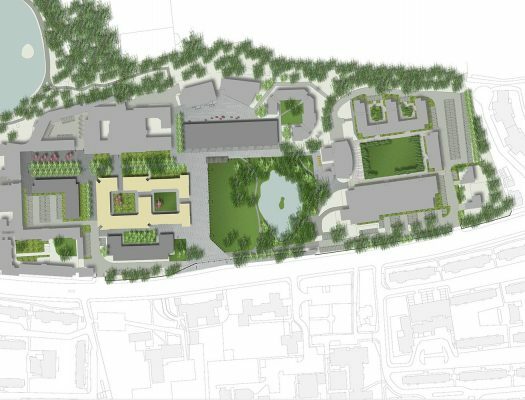 A series of diagrams were developed to show how pedestrians and vehicles could navigate the site safely with minimum disruption. 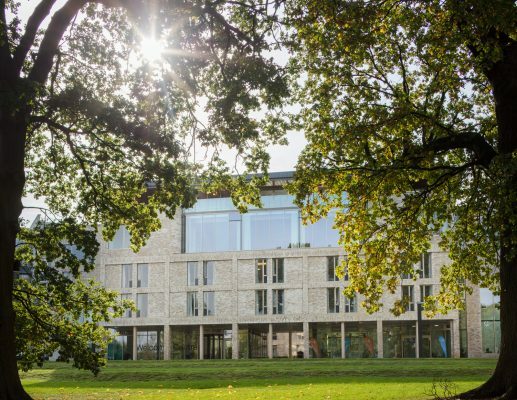 In conjunction with a new Library building it will provide a new ‘centre of gravity’ for the Campus and will greatly enhance the image of the University from Roehampton Lane. 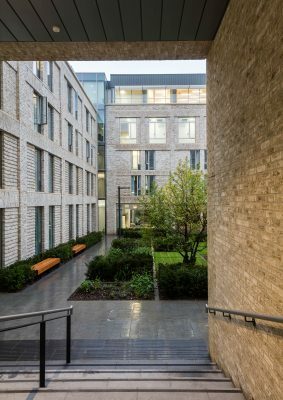 The proposal is part of the University’s 2025 Masterplan, which has also been developed by MJP Architects.